The EFF has a good article on ComputerCop. Police departments have lashed back, saying the EFF is an "ultra-liberal organization that is not in any way credible on this". While it's true the EFF leans heavily to the left, I'm a right-winger -- and I agree with them in this case. Maybe the police will find my right-wing criticisms of ComputerCop more believable. The basic issue is that this program isn't "protection", but is instead a "virus". It's the same software hackers use to spy on computers. It's the same software that jealous lovers secretly install on their partner's computer. Some of the copies the police give out will be used for the intended purpose (parents hacking their children's computers), but also some copies will end-up in the hands of evil-doers who use it for general hacking. When investigating domestic abuse cases over the next few years, police will find their own software on the victim's computer, placed there by the abuser. I can imagine the excuse an ex-husband will have for cyber-stalking his wife "but I got the software from the police!!". Monitoring your child's online activities is a good thing. Hacking your child's computers is probably a bad thing. It's not the sort of activity police departments should be encouraging. 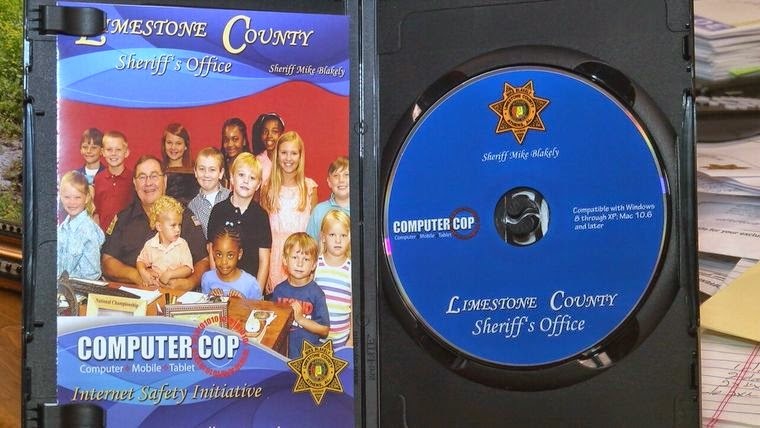 The software maker exploits the fact that rural county sheriffs are rubes with little understanding of technology. As the EFF documents show, the software is poorly written with bugs that in fact endangers the child. The software maker doesn't care, because it knows that it's customers (the police) aren't smart enough to figure this out -- not even smart enough to understand the EFF's clear explanation of the technical details. But all of this pales in comparison to the real problem: police corruption. It's not police departments with appointed heads who are buying this program, but elected sheriffs or elected district attorneys. It's not sold as normal software with the company's name on the top, but with the elected official's name blazoned across the front. It comes with a nice promotional picture of the official in question (often hanging out with children), and often with what's essentially a political election/promotional video    on the disk. For a minimum purchase of 5000 units, the vendor sends a videographer to help make a promotional video to go along with the disk. Rather than protecting children, this software's true purpose is police corruption, allowing elected officials to funnel money from civil asset forfeitures into election campaign materials. As a right-winger, this disturbs me greatly. The bedrock of a civilized society rests on trust in the police, both in their competence and their integrity. What we see here is incompetence and police corruption. It's something all right-wingers should oppose. Update: Some of my friends assumed this was my normal snark. No, I'm not joking this time. This really is police giving malware to parents so they can hack their kid's computer. This really is a clever way to use funds from civil asset forfeitures to promote themselves. Sheriff Longmire wouldn't do this. 'Nuff said.